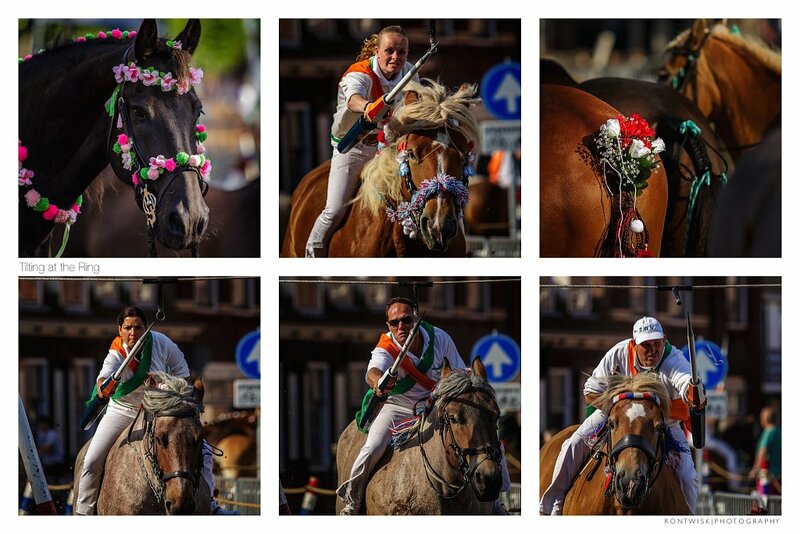 Tilting at the Ring (in Dutch "Ringrijden") is an old folkloristic tradition in the Dutch province Zeeland. Tilting has a 500-year history and is still actively practiced. In a village (in this case Oudekerke) a special dirt track is constructed, on which an unsaddled horse with rider and lance appearing to charge at the ring. The huge galloping Belgian horses, charging in the narrow cordoned dirt track at the ring, is a very impressive sight. Here's a link to some of the pictures I took!